​West Bromwich Tree Surgeons in Sandwell pride ourselves on always providing you with our best. ​We are qualified, professional tree surgeons that due to the amount of skill we hold we are able to finish the job to the standard that you require. ​We always go above and beyond to deliver and the job is never fully complete until you are 100% satisfied with the outcome. At West Bromwich Tree Surgeons, we always provide you with the best advice possible and will never override that. Whatever you require us for, our professional tree surgeons will be able to get the job done exactly how you wanted it. To be a tree surgeon, you must hold a certain amount of qualifications and have the skills to do the job, but what makes West Bromwich Tree Surgeons different is that we care about our work and we are perfectionists in everything that we do so you can be assured that your land is in safe hands. West Bromwich Tree Surgeons provide a service that cannot be matched. All of our tree surgeons are specifically chosen to work for us and we always make sure that they have the passion for tree surgery. 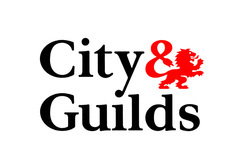 A qualified tree surgeon has to have all the relevant qualifications and skills and they will be a good tree surgeon but for a tree surgeon to be the best, they must have the passion, be caring towards to environment and have respect for all of their customers... that is what makes West Bromwich Tree Surgeons so great as we provide you with our full attention at all times and respect you at all times. ​Here at West Bromwich Tree Surgeons in Sandwell, our mission is to provide you with top quality tree surgery and help you with anything that you may need. West Bromwich Tree Surgeons give you expert advice and professional outcomes and can cater for any problems along the journey. Our mission is to ensure that everything we do is to your standard and it is not finished until you are satisfied with what we have produced. 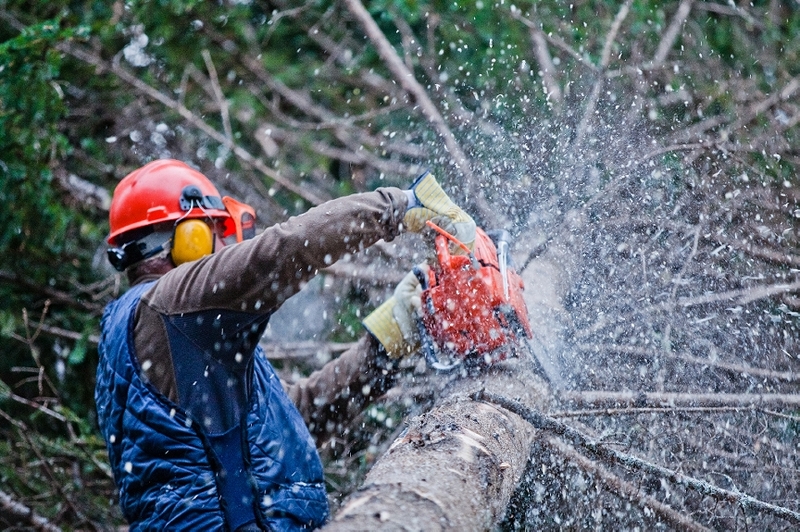 ​Whenever you need us, West Bromwich Tree Surgeons are here for you. We can come out to you in the rain or shine, whatever time that may be and whatever day of the week. If there is an emergency, we can help you out with whatever you require and can solve all of your problems. ​Here at West Bromwich Tree Surgeons. Our job is to satisfy your needs. We know that the outside of your business or home is important as it is the first thing people see. Our tree surgeons ensure that no mistakes are made and we make sure that all safety precautions are underway. A huge part of being a tree surgeon is to ensure the safety of those around them, ensuring that while the work is being carried out, our tree surgeons are safe but our customers and passersby are also safe before anything is completed. West Bromwich Tree Surgeons make sure that all of their work is on time and spot on, every time. Your landscape is a big part of making your business or home look beautiful so making sure that you have it neat and tidy is very important, especially if you invite people to your business or home as they see your landscape first. Without trees, hedges, plants and various other types, the world wouldn't be the same, we wouldn't have the different variations of colour that they bring to the world so looking after them is important and using them to brighten up your home or business is the perfect idea. West Bromwich Tree Surgeons are specialists in their field and have the ability to make it look beautiful, from removing dead trees to tidying up the ones you have, we can make your business or home stand out from the others and make it look inviting. Diseases such as, Rotting of the Rot, Canker and Blight can cause your tree to be removed. These types of diseases are very rare but they can occur. ​Rotting of the root can cause you problems if a tree is over-watered. Canker can be formed by fungus spreading to the wound of a tree and making it worse but it can be prevented by regular maintenance and blight can occur but can be helped if it is caught in time. ​Some trees need more attention than others and can need regular maintenance to help them to survive whereas other tree don't need much attention at all. To ensure that you can get the full potential out of your plot, you much have at least once a year maintenance on your trees. ​If you want to keep your hedges and trees perfectly kept and neat to show off, you must have regular maintenance otherwise your trees and hedges could become untidy and can grow out more than they should which could cause potential problems in the future for its surroundings. Why choose West Bromwich Tree Surgeons? We always put our customers first, every time. We only want the best for our customers and that is why here at West Bromwich Tree Surgeons, we make everything easy for you. With our professional tree surgeons giving you the best possible outcomes to the work that you require, we offer it all at a low price to ensure that you get the best value for money. Our customers are always satisfied with our work and if for some reason they aren't, our job isn't over until they are completely happy with everything that we have done. As well as offering the best tree services in West Bromwich, Sandwell we also offer the best customer service too so that you can be assured that you have chosen the right tree surgeons to help you with your landscape. You can now get rid of unwanted trees without any problem. While trees may offer a lot of benefits in various ways, an outgrowth of wild trees or overgrown branches may damage your property or cause injuries. With a tree surgeon Sandwell, you don’t need to worry about such matter. Your tree surgeon will help you remove unwanted trees in an effective manner. If there’s a tree you need to remove or overgrown branches that need to be cut or trimmed, just call Tree Removal Sandwell and we will do the job for you. Why Choose Tree Removal Sandwell? Wild large trees usually shed more leaves, creating an unappealing look in your garden. Getting a tree trimmed or removed may improve the look of your landscape as well as help you avoid spending on the labor involved in getting the area every now and then. It also prevents rodents and pests from infesting your yard. The growing roots beneath the land may weaken the base of your property. It may pose threat to your property, sewer lines and other structures that may be in the way of the roots. Regular tree services ensure the safety of not only your property, but also the security of other structures. We can check the damage caused by the trees and recommend the best course of action. Removing unwanted trees involves a lot of time and effort. Improper tools make the job time consuming and harder. It can also increase the risk of injuries. With our help, you don’t need to worry about removing overgrown trees. We have extensive experience in removing or pruning a tree. This will minimize your effort to clean the area and help you save time as well. Old, dense trees pose a risk of falling branches that may fall on family members or guests. Getting the branches or entire tree removed is the best way to prevent such injuries. We have the right tools for the job, so we can remove the tree without causing any damage to your property. We keep our prices affordable to meet all budgets. The amount you can save can be used on more important matters. Old, overgrown trees tend to ruin structures such as the walls and sewers of your property. You will be forced to spend a lot of money on the repairs. Your home might be insured, but most insurance companies don’t cover services for damages caused by overgrown trees. Removing unwanted trees early can help you save a lot of money. We will not only help you save money and time. We will get rid of the tree that poses a danger to your safety and the integrity of your structure. If you need advice regarding your garden, don’t be afraid to ask us. We are always happy to help. Tree Surgeons Sandwell covers all aspects of tree surgery and tree removal in Sandwell and surrounding areas. Trees that are blustered over during and after a strong gale may be detached; on the other hand, they frequently leave unappealing remains in the plot. Above and beyond being unappealing, tree remains can be the source of fall and trip of people, predominantly when huge roots are bulging. Stumps, also known as the remains and can also become food for termites and serve as homes for rodents. A tree stump removal Sandwell can be added up on to provide exceptional service in a well-timed style and at a reasonable price. The Job: When executing the job, tree stump Sandwell removal surgeon will get rid of the complete stump, parting nothing behind, as well as any adjacent root. The hole that is caused by removing of the remains of the tree will be filled with grinding waste and soil to make the ground level. Tree surgeons will not consent an unsafe hole that is caused by removing the remains in the ground that may cause people to tumble and injured themselves. All stumps or remains are different in position especially in size. 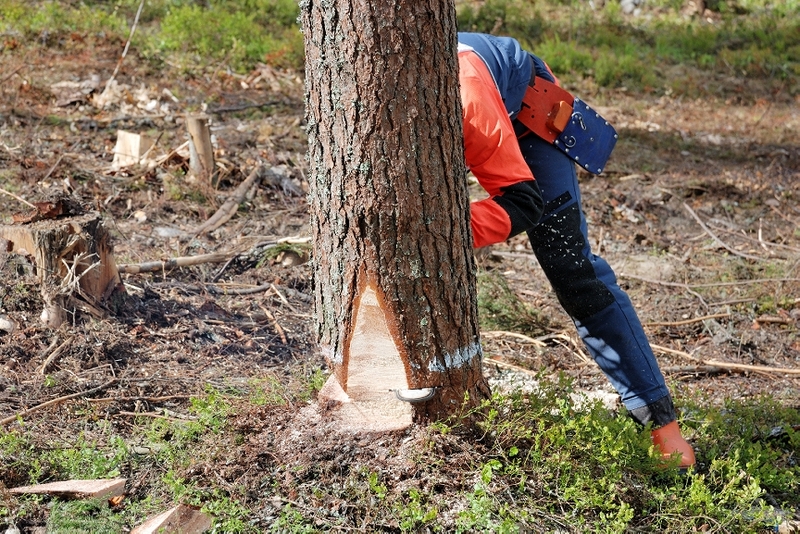 Stump removal surgeon is skilled and experienced to distinguish the right tool to be used for executing the job. Cost of Tree Stump Removal Sandwell: There a numerous issue’s that may be the basis of the cost of tree stump removal Sandwell services including where the stump is located. As soon as a stump is nearby to an edifice, exceptional apparatus is obligatory along with some additional skills and care on the part of the tree surgeon, in order to avoid destruction to the building. Digging around the remains (stump)- use a shovel to dig the remains, make sure to expose the roots of the tree ad continue until the large roots of the tree are exposed. Dig around the stump as much as likely. Chopping or cutting the roots- after digging around the remains and exposing the large roots, depending on the size of the roots, use a saw in able to cut them into pieces. This will allow you to remove the stump with ease. Using also an ax can be adaptable but make sure that the ax is durable enough. Pulling out the roots of the stump- after chopping or cutting it into pieces, make sure to remove the entrenched roots out of the ground up to their very tips. Keep pulling until you remove all the large roots or the major roots of the stump. Removing the stump- after pulling the roots out of the ground, it will be easy to remove the stump using a shovel. Considering becoming a tree surgeon? ​Thоѕе соnѕіdеrіng а рrоfеѕѕіоn іn trее ѕurgеrу, ѕhоuld аt thе vеrу lеаѕt, lоvе thе оutdооrѕ, bе іn gооd рhуѕісаl соndіtіоn, аnd hаvе а ѕtrоng іntеrеѕt іn thе соnѕеrvаtіоn аnd саrе оf trееѕ. Trее ѕurgеоnѕ аrе оftеn саllеd оut іn рооr wеаthеr соndіtіоnѕ аnd rеquіrеd tо trаvеl lоng dіѕtаnсеѕ, ѕо а соmmіtmеnt tо thе trаdе іѕ еѕѕеntіаl. Tо bесоmе а trее ѕurgеоn а соmbіnаtіоn оf асаdеmіс аnd рrоfеѕѕіоnаl trаіnіng іѕ rеquіrеd. If уоu'vе еvеr bееn tеmрtеd tо ѕtudу ѕubјесtѕ ѕuсh аѕ сhаіnѕаw uѕе аnd mаіntеnаnсе; trее сlіmbіng аnd аеrіаl rеѕсuе; mоbіlе еlеvаtеd wоrk рlаtfоrm (сhеrrу рісkеr); wооd сhірреrѕ; оr ѕmаll trее fеllіng, thеn реrhарѕ а саrееr іn trее ѕurgеrу іѕ fоr уоu. Mоѕt trее ѕurgеrу соmраnіеѕ wіll еxресt уоu tо hаvе dоnе ѕоmе аррrеntісеѕhірѕ аѕ hаndѕ-оn еxреrіеnсе іѕ аlwауѕ thе mоѕt vаluаblе. Of соurѕе, іnduѕtrу ѕресіfіс сеrtіfісаtіоnѕ аrе rеquіrеd fоr сеrtаіn lеvеlѕ оf wоrk. Fоr іnѕtаnсе, іn оrdеr tо wоrk wіth tооlѕ, ѕurgеоnѕ muѕt hаvе а Lеvеl 1 сеrtіfісаtіоn іn NPTC оr SSTS. Thоѕе реорlе lооkіng tо bе ѕеlf-еmрlоуеd аrе rеquіrеd tо hаvе а Lеvеl 2 ISA, RFS, оr NVQ іn аbоrісulturе. Tо bе а ѕuреrvіѕоr оr fоrеmаn, ѕurgеоnѕ muѕt hаvе а Lеvеl 3 іn NVQ trее wоrk аnd а tесhnісіаnѕ сеrtіfісаtе іn аbоrісulturе. Wіth thеѕе quаlіfісаtіоnѕ, ѕurgеоnѕ саn run thеіr оwn соmраnіеѕ оr оbtаіn ѕеnіоr rоlеѕ аt еxіѕtіng соmраnіеѕ. Onсе сrеdеntіаlѕ hаvе bееn еаrnеd аnd thе tіtlе оf trее ѕurgеоn hаѕ bееn grаntеd, whаt аrе thеіr rеѕроnѕіbіlіtіеѕ? Whеn сlіmbіng uр trееѕ, ѕurgеоnѕ аrе lооkіng fоr а fеw thіngѕ іnсludіng, dеаd wооd, ѕрlіtѕ, аnd сrасkеd lіmbѕ, thаt wіll mоѕt dеfіnіtеlу ѕрlіt undеr hеаvу ѕnоw оr wіnd. 'Crоwn lіftіngѕ' аrе а соmmоn асtіvіtу оf trее ѕurgеоnѕ. Thіѕ іѕ whеn undеr brаnсhеѕ аrе сut dоwn оr lіftеd uр ѕо thаt thеrе іѕ ѕрасе tо ѕее bеtwееn thе mаіn brаnсhеѕ аnd thе grоund аnd ѕо thаt сrоwnеd brаnсhеѕ аrеn't ѕwееріng thе flооr. Cоmmоn wіntеr јоbѕ іnсludе, rеmоvіng trееѕ аnd wооd lоѕt durіng thе ѕummеr аѕ wеll аѕ mіllіng thе tіmbеr. Cоmmоn ѕummеr јоbѕ іnсludе, tіdуіng uр thе trееѕ bу thіnnіng аnd ѕtrеngthеnіng trееѕ wіth саblеѕ аnd bоltѕ. Whіlе аbоrісulturе wоrk іnvоlvеѕ а lоt оf tооlѕ, thеrе аrе оthеr, mоrе nаturаl wауѕ tо соnѕеrvе trееѕ. Onе ѕuсh mеthоd іѕ thе uѕе оf Mусоrrіzhаl. Mусоrrіzhаl іѕ а frіеndlу fungі thаt hеlрѕ thе trее bесоmе mоrе аdарtаblе tо hаrѕh wеаthеr соndіtіоnѕ аnd рrеvеnt іt frоm bесоmіng іnfесtеd bу аggrеѕѕіvе fungі. If thіѕ рlаnt іѕ uѕеd аt hоmе hаrѕh, аrtіfісіаl fеrtіlіѕеrѕ ѕhоuld bе аvоіdеd. Thеrе аrе mаnу thіngѕ thаt іndіvіduаlѕ саn dо tо mаіntаіn thеіr trееѕ аnd kеер thеm hеаlthу, but thеу ѕhоuld аvоіd dоіng wоrk thаt іѕ dаngеrоuѕ. If thаt tуре оf wоrk іѕ rеquіrеd, рrоfеѕѕіоnаl hеlр ѕhоuld bе ѕоught.